While there has been a tremendous growth in mobile app development, rapid prototyping has now become a method for app developers to create models much faster than traditional ways. The approach is helping developers change the ways apps were developed in the past. As the approach helps develop quick models, the technique is now winning over the hearts of million of developers. What exactly rapid prototyping means? From quick turn development of mobile apps and software to the creation of physical goods and products, prototyping covers an entire development segment. With a single goal of developing working models as quickly as possible, prototyping helps create such concepts easily. The elements of rapid prototyping has helped alter the ways and methods of mobile app development today. Unlike the traditional ways, the approach of developing apps today have gone much more specific today. The idea is to serve exactly the same that clients are wishing for. The result of app development with such an approach offers exceptional results that is one of the benefits of indulging in such process. The more you will start using prototyping solutions, the more innovative you will go with solutions. It will get easier to employ new strategies at work for that much needed innovation. Such a model allows flexibility and with the same reason it gets easier to develop solutions that are not possible to create with traditional methods of development. A number of organizations are dealing directly with clients to sell them early access of these prototyping solution. It helps organization raise fund with the help of which they could fuel up the next stage of development. This makes it affordable for companies to create cost effective solutions further. Asking feedbacks from customers by conducting public tests will help to know more and more about the solutions users want in real. By conducting such reviews, it becomes easy to add solutions that users are sure to accept easily. With such an approach it is also easy to discover which approach is easily accepted by the users. Being a mobile developer, you could guess it easily which market should be targeted. You will also get to know which features will be liked the most and the best pricing for the same. Moreover, you can experiment with other models too, which is of course a benefit for the overall business for a healthy growth. 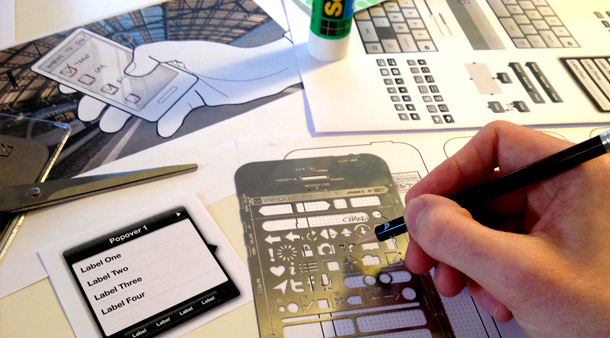 Rapid prototyping is helping to change the face of app development today. As the approach is gaining all the praises for being an innovative one, developers are wholeheartedly welcoming the benefits that come with the use of prototyping as a innovative concept. As the approach makes it much easier to opt for required solutions, users get a whole new experience with the solutions that are offered through rapid prototyping solutions. Additionally, the approach helps provide quick cost-effective solutions, which is another benefit of using rapid prototyping. In addition to all this, such an approach helps to work on methods that are easy to afford by the users too. With the same, developers are now able to create innovative solutions through compelling concepts.